What Are The Health Benefits Of Weightlifting? Weight training can improve focus, positively impact bone density, increase range of motion, prevent falls, and improve stability, coordination, and balance. When performed correctly and properly, it can help you to build or maintain lean muscle, improve your body’s work capacity, heighten your perception, improve cardiovascular functioning, and relieve stress. Though deemed controversial in the past, weight lifting is now receiving a more positive review following studies that have highlighted its health benefits. For many years, it was thought that aerobic cardiovascular workouts were the best for reaping health benefits, as weight training only created body bulk. Scientists have shown that consistent weight training not only strengthens your muscles, but also supports your brain health. In general, weight training can improve focus, positively impact bone density, increase range of motion, prevent falls, and improve stability, coordination, and balance. When performed correctly and properly, it can help you to build or maintain lean muscle, improve your body’s work capacity, heighten your perception, improve cardiovascular functioning, and relieve stress. A common myth about weight lifting is that it builds bulky body muscles, inherently slowing down athletes in sports. Contrary to this belief, weight lifting helps in constructing non-bulky muscle made of strong, dense fibers. Combined with power training, strength training, and resistance training, weight lifting has been proven to improve sports performance. Due to the “bulk” myth, individuals uneducated about weight training, oftentimes look to cardio-exercises alone. Depending on the frequency that machines, such as treadmills or ellipticals, are used, you could be damaging your joints. Repetitive movements can cause strain to your knee and hip joints. Integrating consistent weight training with your workout routine can significantly increase muscle strength surrounding bones, in turn stabilizing them and making them less prone to injury. Particular weight lifting routines, without additional exercise, have been shown to duplicate a majority of the health benefits associated with endurance activities, such as running or swimming. Lifting weights has made it possible for the elderly to maintain their physical fitness by increasing brain functioning, as well keeping the nervous system and body accustomed to proper movement coordination. With aging, joint flexibility is slowly lost; proper strength training may be performed to prevent such an occurrence. Building muscle mass increases its requirement for glucose. These muscles extract glucose from the bloodstream, preventing blood sugar levels from rising to very high levels. With better control of blood sugar levels, this mechanism ultimately contributes to the prevention of diabetes. In a 2005 study conducted in Vienna, Austria, it was discovered that participants who completed strength training had greater glycemic control than those who completed aerobic endurance training. The study concluded that with an improved lipid profile, strength training may play a significant role in the treatment of type 2 diabetes. Studies have exhibited increased visceral (body) fat burning with regular weight training, as well as burning of the fat that accumulates around organs. This type of fat buildup has been related to an increased risk of developing cardiovascular disease and diabetes. Weight lifting alone improves VO2 max, the maximum capacity of your body to carry and utilize oxygen during incremental workouts. This capacity is reflected in your physical fitness ability. A study completed in 1993 at the University of California, Davis, showed that weight lifting was more favorable for increasing oxygen supply and demand than a treadmill exercise. However, despite all of the positive health benefits that one can experience from weight lifting, it can result in a higher risk for injury. Weight lifting requires proper education about fitness and technique, emphasizing the need for proper training from skilled experts. Cauza E, Hanusch-Enserer U, Strasser B, Ludvik B, Metz-Schimmerl S, Pacini G, Wagner O, Georg P, Prager R, Kostner K, Dunky A, Haber P. The Relative Benefits of Endurance and Strength Training on the Metabolic Factors and Muscle Function of People With Type 2 Diabetes Mellitus. Archives of Physical Medicine and Rehabilitation. 2005;86(8):1527-1533. Featherstone JF, Holly RG, Amsterdam EA. 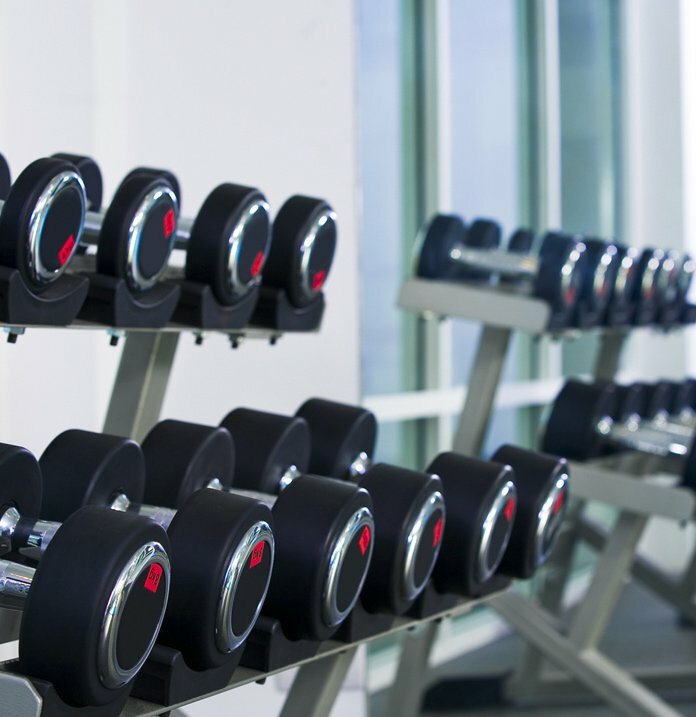 Physiologic responses to weight lifting in coronary artery disease. The American Journal of Cardiology. 1993;71(4):287-292. Seguin, R., & Nelson, M. E. (2003). The benefits of strength training for older adults. American journal of preventive medicine, 25(3), 141-149. Perez-Gomez, J., Olmedillas, H., Delgado-Guerra, S., Royo, I. A., Vicente-Rodriguez, G., Ortiz, R. A., ... & Calbet, J. A. (2008). Effects of weight lifting training combined with plyometric exercises on physical fitness, body composition, and knee extension velocity during kicking in football. Applied Physiology, Nutrition, and Metabolism, 33(3), 501-510. Faigenbaum, A. D., & Myer, G. D. (2010). Pediatric resistance training: benefits, concerns, and program design considerations. Current sports medicine reports, 9(3), 161-168. Casaburi, R., Bhasin, S., Cosentino, L., Porszasz, J., Somfay, A., Lewis, M. I., ... & Storer, T. W. (2004). Effects of testosterone and resistance training in men with chronic obstructive pulmonary disease. American journal of respiratory and critical care medicine, 170(8), 870-878.